When the Dreamforce conference kicked off, few people were expecting it to drive too much drama, after all it is sometimes described as “a gigantic office party for all of Corporate America.” Would you expect that to generate spiteful headlines? Hardly. And yet Microsoft decided to pick a fight at the conference venue that eventually backfired due to a very bad bit of luck. 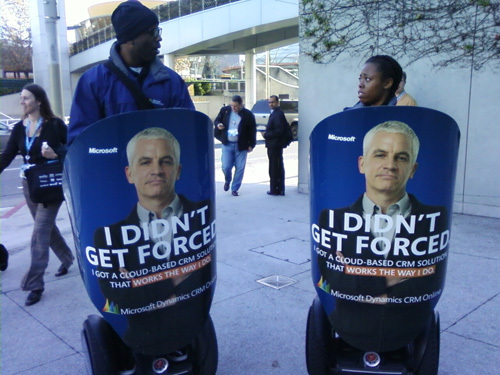 As friend of TNW Allen Stern reported a few days ago, Microsoft hired a number of Segways to drive about outside the conference venue plastered in Microsoft Dynamics advertising, a plot that was sure to irk Salesforce. Good fun between corporate giants, right? 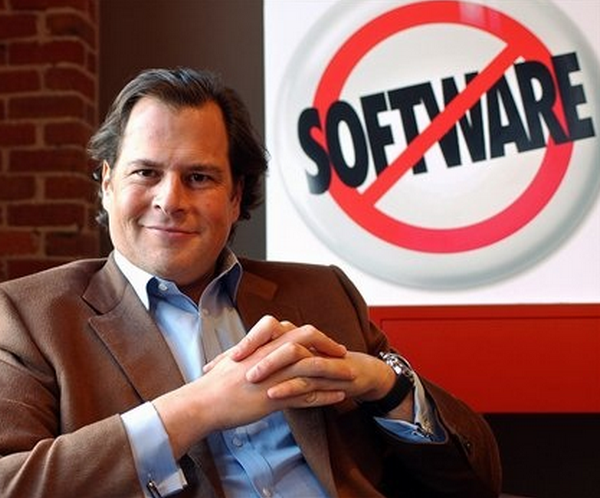 Well, little did Microsoft know, but the model that they used in the advertisement is actually a personal friend of Salesforce CEO Marc Benioff, who decided to turn the stunt back on Microsoft. He brought his friend, from the ad, on to the stage during his own keynote, and proceeded to take a shot at Microsoft. Nick Eaton over at SeattlePi summed up the final score of the war very succinctly: “Guerrilla marketing fail.” What do we think? It is hard to not admit that Microsoft was had in the end, but they sure turned some heads along the way, probably generating more than enough free PR and gossip to pay for the Segaways and drivers that they rented. Microsoft has actually issued a discount to anyone at the Dreamforce conference if they switched from Salesforce to Microsoft Dynamics. We are not sure how many people jumped ship, but you have to applaud Redmond for crashing someone else’s party and trying to steal the attendees.